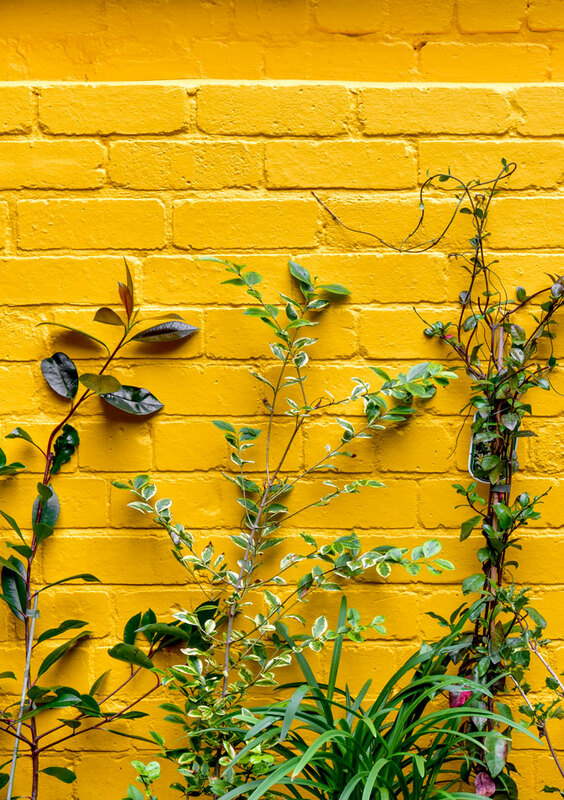 The Vanilla Factory, a former vanilla storage warehouse located in the historic Ropewalks area of Liverpool, was first transformed by shedkm in 2005 for client Urban Splash. 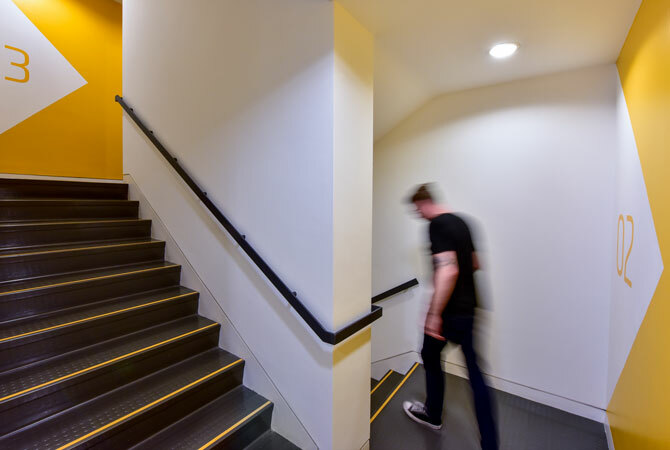 The works created a strong dialogue between the existing fabric and new interventions, emphasised by the use of yellow, which has since become a defining feature of the building. 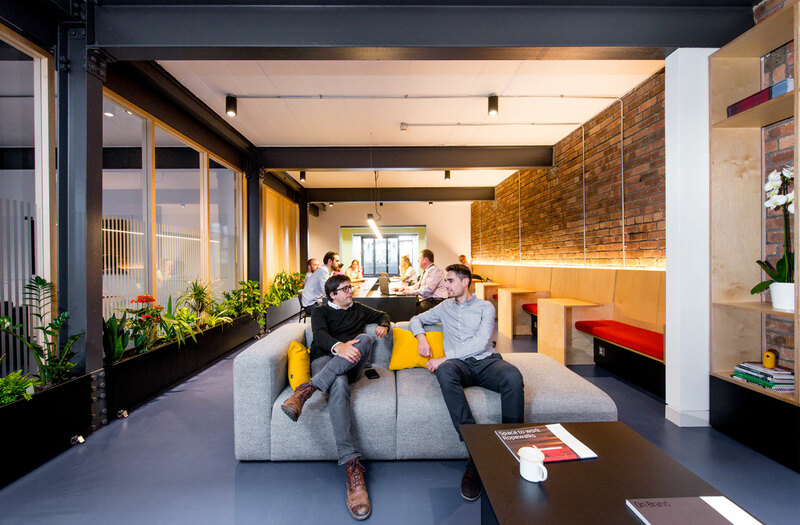 This project follows on from shedkm’s successful Tea Factory refresh, updating Urban Splash’s commercial portfolio to be better suited to contemporary demands of the office environment. The brief called for new breakout, hot-desk and meeting areas and improved kitchen and social facilities to be shared by tenants of individual units. There was also a desire to refresh the building’s circulation including entrance hallway and visitor arrival. On arrival a new illuminated sign pays reference to the Tea Factory further down the street. 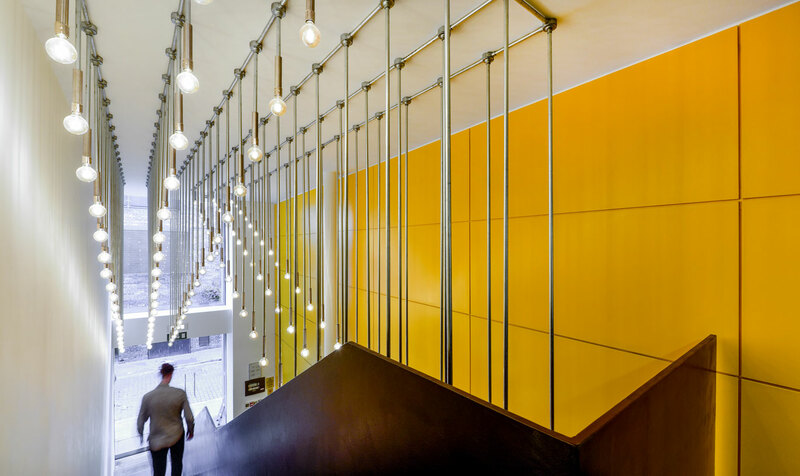 Internally, a bespoke lighting installation comprising 120 staggered pendants helps emphasise the double height space and directs visitors through to the lift or staircase. 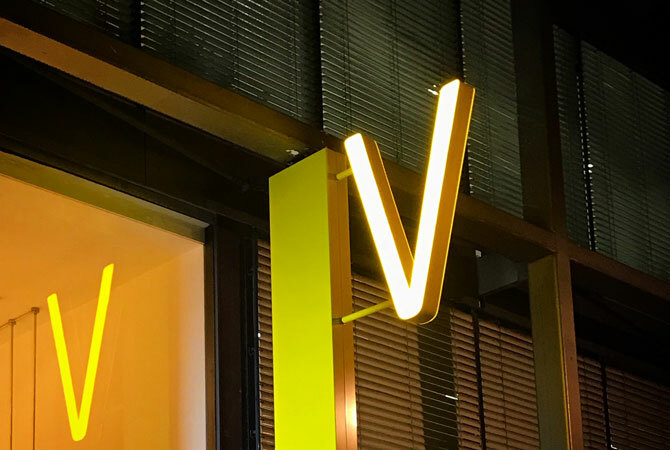 An updated signage package refreshes way finding and circulation spaces through to the updated second and third floor breakout spaces. 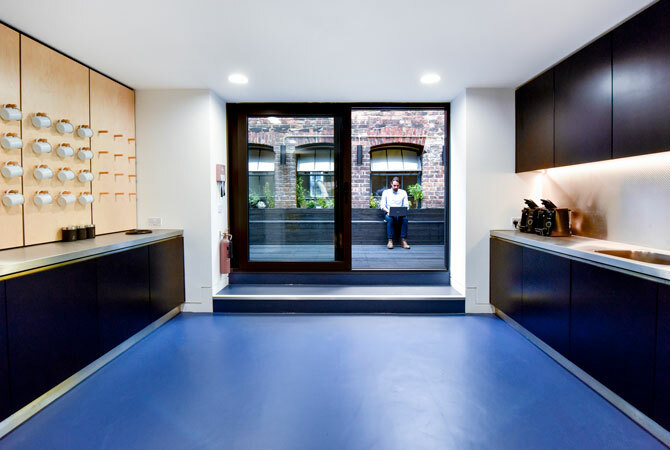 An existing office unit, kitchen and courtyard have been opened up across the corridor, creating a bold, open intervention in contrast to the existing cellular offices and animating the circulation route. 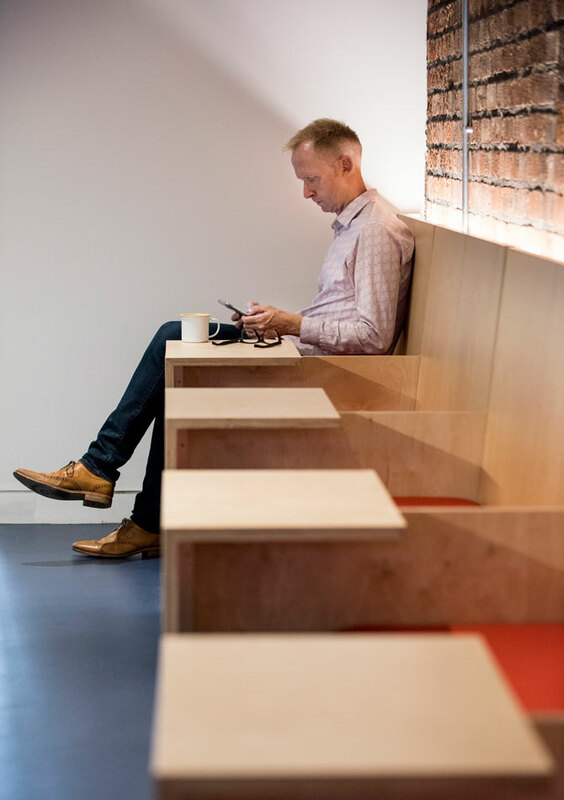 Original elements are exposed alongside expressed joinery partitions and furniture to provide private and communal working tables, soft breakout seating, meeting room and bike storage areas. The reimagined kitchen and new opening on to the courtyard bring valuable natural light across the space and corridor beyond. The rejuvenated building provides valuable new facilities for all commercial tenants to enjoy!